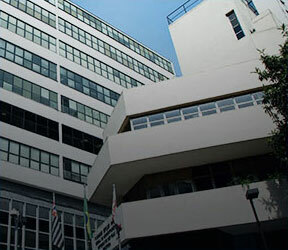 Since 2004, FGV EAESP has been among the world’s best business schools, according to the three leading international accreditation organizations: the Association to Advance Collegiate Schools of Business (AACSB), the European Foundation for Management Development (Equis-EFMD), and the Association of MBAs (AMBA). Just 82 of the world’s 14,000 business schools have this triple accreditation. As well as benefiting from FGV EAESP’s international recognition, you can obtain a second diploma at a partner university abroad and participate in exchange and immersion programs. FGV EAESP is a member of leading international networks of business and administration schools, such as GNAM, CEMS, PIM, PRME, COBS, GPPN and IPBS. Structured education programs involving FGV EAESP and partner schools open up academic and professional opportunities abroad and help you to stand out in the job market. AACSB is an organization headquartered in the United States, composed of education institutions, companies and other bodies in many countries. AACSB offers the world’s oldest business school accreditation, which is focused on continuous improvement of teaching and research quality in the area of administration, split into the themes of engagement, innovation and impacts. FGV EAESP received AACSB accreditation for the first time in 2000. It was the first school in Brazil to obtain this important international accreditation. EFMD is an organization headquartered in Belgium, made up of academics, government employees and companies in various countries. It concentrates on the development of managerial and entrepreneurial skills, as well as institutions’ research and their degree of internationalization. FGV EAESP received accreditation from EFMD/EQUIS for the first time in 2001, making it the first Brazilian school to obtain this international accreditation. AMBA is an organization headquartered in England, composed of academics and companies in many countries. It focuses on the quality of teaching, programs’ curricula and institutions’ level of internationalization. AMBA accredits the portfolios of MBA programs (Master’s in Business Administration), DBA programs (Doctorate of Business Administration) and MBM programs (Master’s in Business and Management) at business schools across the world. FGV EAESP received initial accreditation from AMBA for its programs in 2004. The Global Network for Advanced Management (GNAM) is an international alliance of 30 business schools around the world, including FGV EAESP. 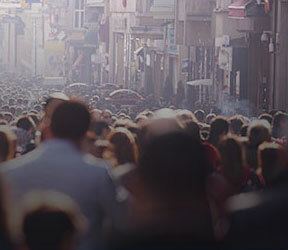 It works to promote innovative initiatives through connections between students, alumni, professors, researchers and other stakeholders in a global network. The network’s schools include institutions of excellence such as HEC in France, Bocconi University in Italy, and Yale School of Management in the United States. CEMS is an alliance composed of 31 of the world’s best business schools, on five continents. It is dedicated to educating and preparing the next generations of global business leaders. Through the alliance, students doing the Professional Master’s in International Management (MPGI) program can study at two CEMS schools and they have the opportunity to do an internship in another foreign country. Once they have completed MPGI, students receive a master’s degree from FGV EAESP and a CEMS certificate. The Partnership in International Management (PIM) is a consortium of the 25 most important business schools in the whole world, which promotes student exchange programs lasting six or 12 months. The consortium facilitates the development of international cooperation between its members, fostering the creation of joint initiatives and exchange programs for students and also professors. With more than 100 renowned partner institutions in the Americas, Asia, Europe, Africa and Oceania, the doors are open to academic and professional experiences around the world. 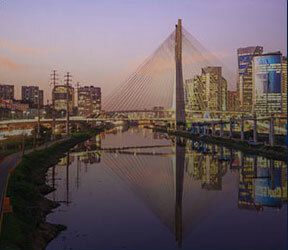 FGV EAESP is a global business school that sends and receives students worldwide, located in Brazil’s financial center.